Here’s a little fun inspiration for all those type lovers out there! 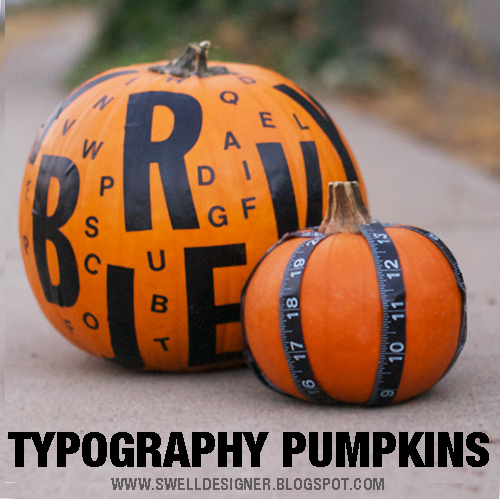 Why not turn your passion for all things font into some cool typographic pumpkins? The reason I like this project is that is is quite possibly the easiest way to make a statement without having to try at all. This is pretty much my life motto too…do as little work possible and get big results is what I say! So all you have to do for these orange fellas is randomly apply vinyl stickers that you get on a sheet from your arts and craft store. You could try scrapbooking stickers as well if you are going for a little bit more whimsy and less Helvetica. 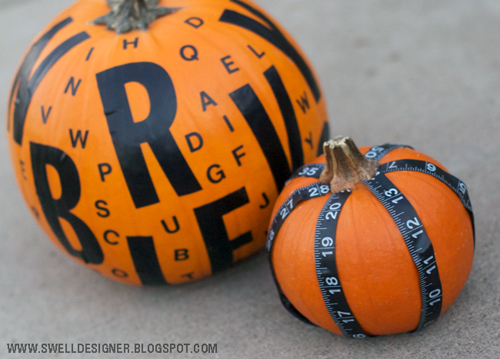 For the mini pumpkin, I simply cut up a black and white measuring tape I got at JoAnn and added applied it with some of my favorite go-to glue…Aleene’s Tacky Glue. 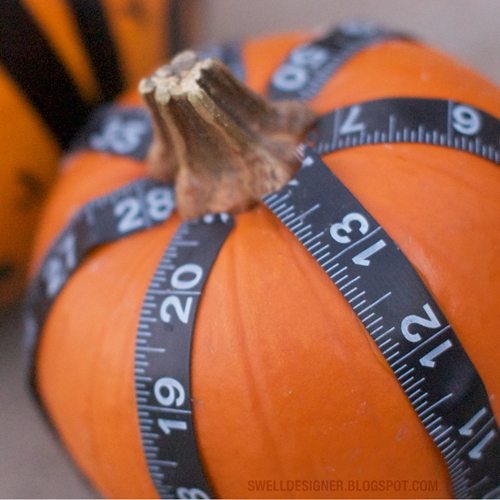 I snipped it to contour up with the stem of the pumpkin. And BOOYAH! 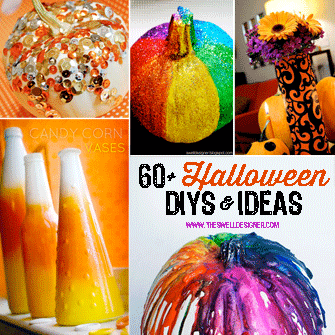 There you have it, some fun, cheap pumpkins that will make a bold addition to your porch or mantel. I love that it’s the classic Halloween colors mixed with letters. Maybe I should call these FONT-O-LANTERNS? Hmm, whatcha think?